The French island of Corsica is not only Napoleon’s birthplace, but also an idyllic land of deep forests, stylish coastal towns and craggy peaks. Much of the island remains undeveloped, adding to the natural beauty of its stunning coastlines and mountains. Located in the Mediterranean, just off the Italian coast, this ancient Roman province is known for its delicious cuisine and vibrant culture. 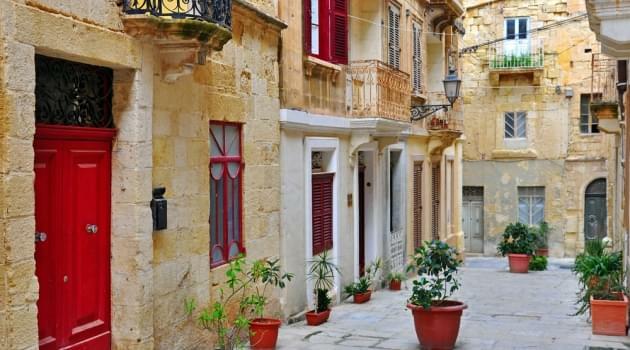 Wander the quaint, winding streets of the island’s towns and villages, and enjoy the richness of the it’s local foods, including gourmet cheeses, wines, sausages, honey, chestnuts, olive oil, figs and mulberries. Getting to Corsica with miles is not the easiest proposition, but it is possible, particularly if your travel dates are flexible. Even though there aren’t many airlines serving the island, there are three airports: Bastia-Poretta, Calvi-Sainte-Catherine, and Ajaccio Napoleon Bonaparte. Oneworld alliance members can fly to two of the island’s airports. 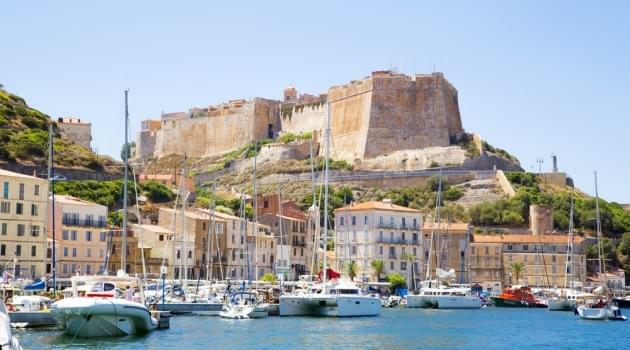 British Airways flies seasonally to Bastia-Poretta Airport via London, and airberlin flies to Calvi-Sainte-Catherine Airport via Dusseldorf. British Airways levies a substantial fuel surcharge on flights from the U.S., so it’s best to fly on American Airlines to London, and then British Airways to Corsica. Brussels Airlines also flies seasonally to Calvi-Sainte-Catherine Airport and Ajaccio Napoleon Bonaparte Airport via Brussels. Swiss flies to Ajaccio via Geneva. The cheaper business and first class rates listed above are available by flying the first leg to Europe on United Airlines. If you have Delta Airlines SkyMiles, you can fly to any of the three airports in Corsica on Air France via Paris. Unfortunately, flights from the U.S. arrive at Charles de Gaulle Airport, and flights to Corsica depart from Orly, which means you’ll have to make an inconvenient transfer. In addition, finding Air France availability online can be problematic, so you may have to call. Flights are not daily on all carriers, so flexibility is the key. The best option is to use AAdvantage or MileagePlus miles because they typically have more availability and don’t require transferring airports in Paris. AAdvantage also offers the best rates if you’re flying business or first class, or off-peak in economy.